“Throughout Early Access, we will be treating Legends of Aria as a live product with ongoing support, regular content updates and bug fixes. 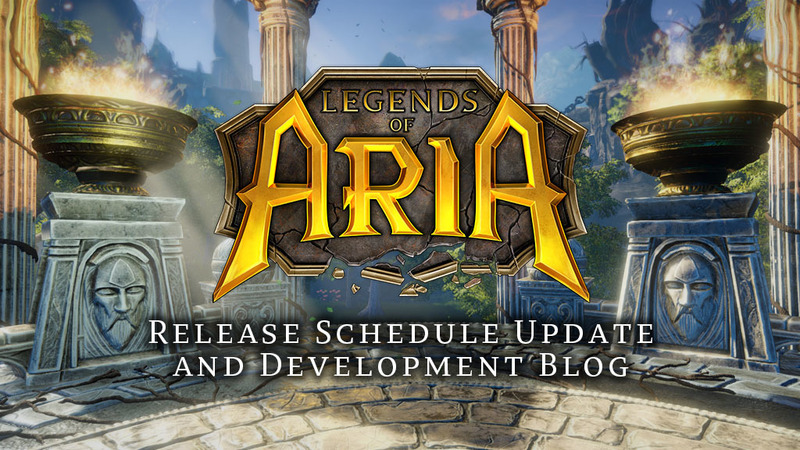 “Legends of Aria right now is a fully playable fantasy MMORPG. Character progression takes the form of gaining skill by performing actions, gaining experience points that go towards training new abilities, and acquiring money and items. The world is massive with 4 cities, 4 smaller towns, 5 dungeons (one of them, Catacombs, is a massive raid dungeon), tons of interesting places to discover and explore. Combat professions can complete missions, hunt the various hunting spots on the map, or adventure in dungeons. Non-combat professions are primarily focused on harvesting resources and crafting items. Crafters can complete "crafting orders" for NPCs to learn new recipes and make money. Steam store launch now scheduled for "Early Spring"
We've just posted an announcement to our site that we will be delaying our arrival on the Steam store to after the holidays. The post goes into detail about why and what we will be doing moving forward. If you can't wait to play, you can buy the game direct from our website. (c) 2018 Citadel Studios, Inc. All Rights Reserved.